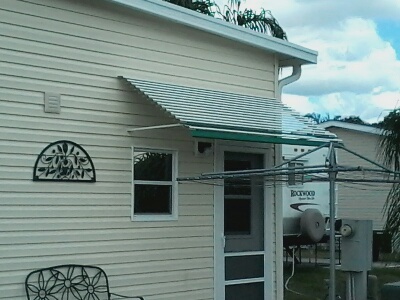 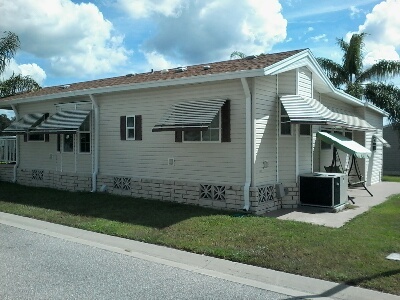 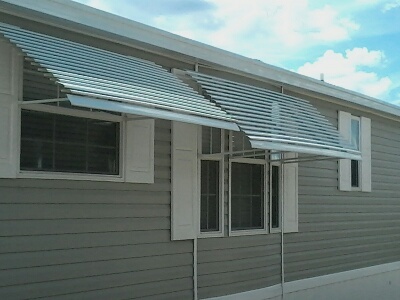 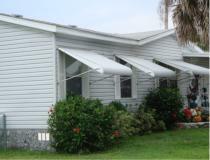 View aluminum awning photos in our gallery of awning photographs that we manufacture and install for your home or mobile home. 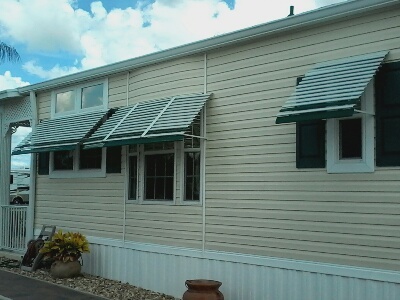 View aluminum awning photos in our gallery of awning photographs that we manufacture and install for your home or mobile home. 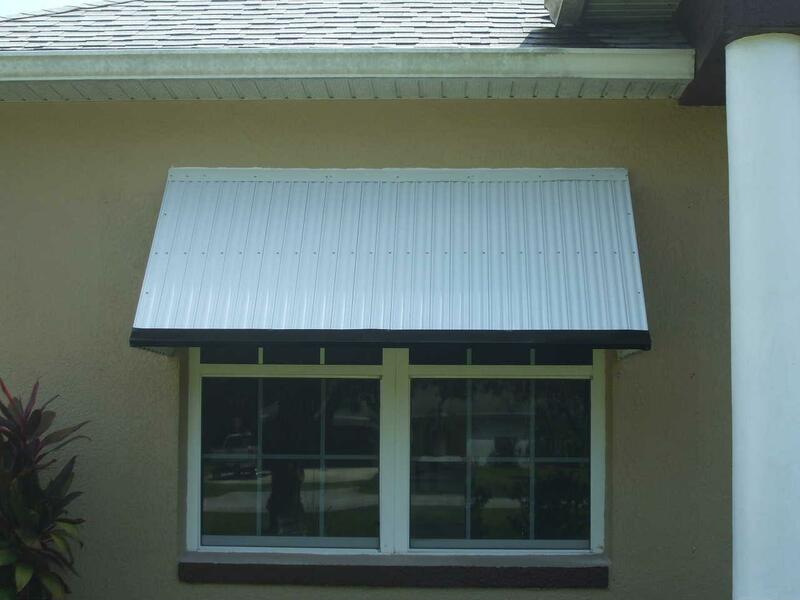 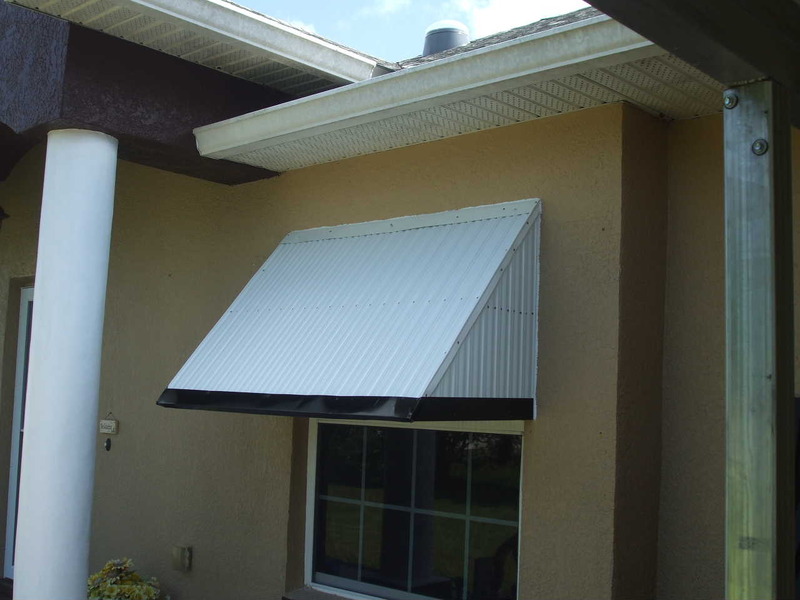 The colors for aluminum awnings for Central Florida windows or doors can be customized including double or single stripes in white or any of the 16 colors. 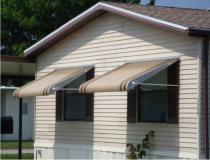 Visit the awnings colors gallery to view simulated colors. 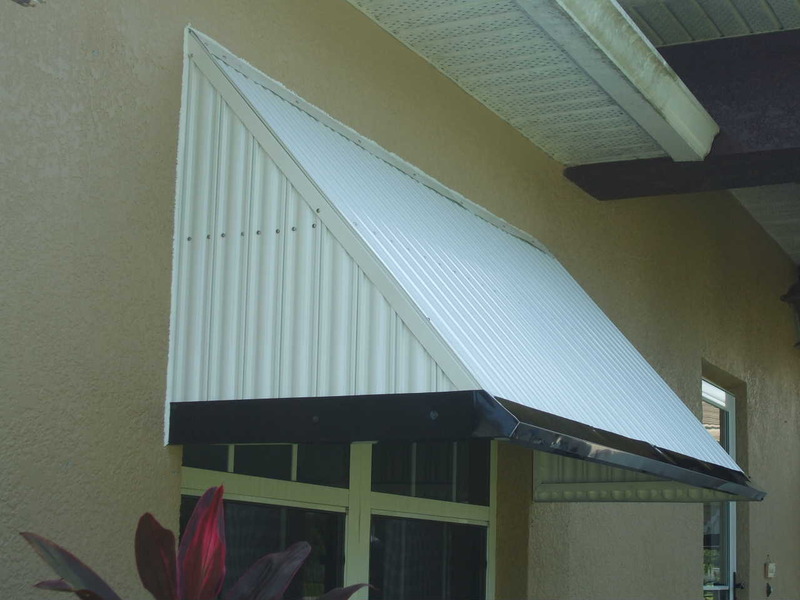 Haggetts Aluminum does manufacture more than just aluminum awnings in Central Florida, so visit the aluminum products page for information about our awnings plus screen rooms, carports and covers, and storage sheds, too. 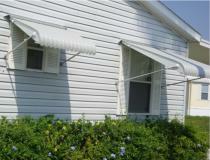 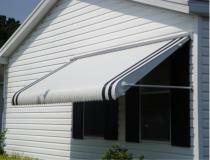 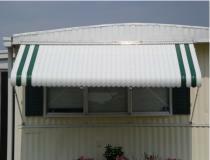 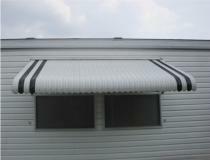 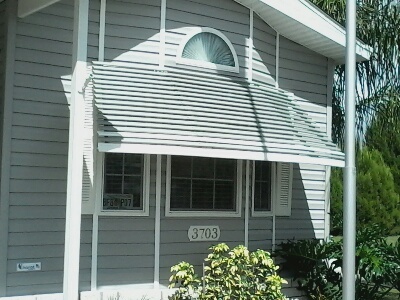 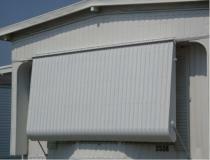 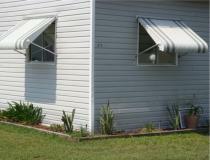 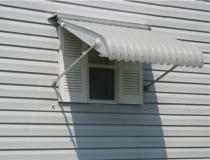 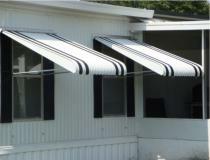 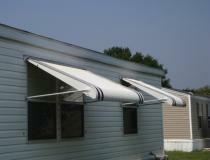 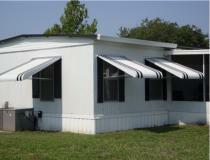 Please call or email with any questions, or you may want to visit the aluminum awnings FAQ page to learn more.